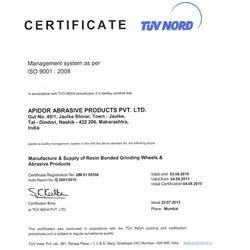 Apidor Abrasive Products Private Limited, an ISO 9001:2008 certified company, established in year 1977. 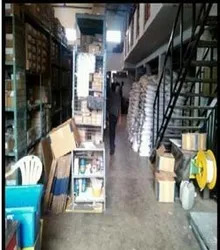 Our company is counted amongst renowned manufacturer, supplier & trader of Bonded Abrasives, Discs and Cutting Wheels. The products are manufactured on advanced production lines including a completely automated manufacturing line. Apidor has the necessary skill set to carry out the R&D and to develop new products. The ERP system ensures that the pulse of the entire operation is available at the touch of a button. This helps in efficient operations and allowing us to meet the delivery commitments of our customers. Apidor's prime focus area has always been to continuously upgrade the quality of our products. Our Quality journey starts with buying the best quality raw materials. Apidor has set up a modern Lab for carrying out the tests on the incoming raw materials. We believe that the quality must be built in to the product. To meet this end we have a robust In Process Inspection carried out by well trained inspectors in Statistical Analysis Tools. Finished goods are subject to stringent inspection to ensure that they meet Safety & Performance Parameters. Under the esteemed guidance of Mr. Santosh Tirlotkar, we have been able to gain spectacular success in the industry. With his vast domain expertise and inspirational leadership, he has steered the organization on the path to success. All our products are compliant with the standard laid down by the European Safety Standard EN 12143. 2008-09 Rs. 10 - 25 Crore Approx. We are supported by a team of more than 100 professionals, which are dedicated and sincere towards their work. Due to their unparalleled efforts and team work, we have been able to stand head and shoulders ahead of our competition. The professionals working with us possess in-depth knowledge and expertise of their respective fields. All our experts work in close coordination among each other so as to attain the organizational targets and goals on-time. Regular training sessions and seminars are arranged by us to keep our workforce updated with the advancements in the field of technology and latest market dynamics. A sophisticated infrastructure facility of 15000 sq. 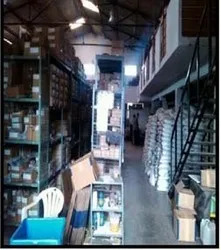 ft. area at Nashik an ideal location for easy access to the markets and blessed with an ideal climate for manufacturing Resin Bonded Grinding Wheels is established by us at Nashik. 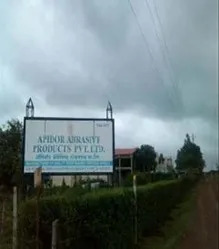 Apidor has invested heavily in the two units at Nashik. They have very good plant and machinery that is continuously upgraded to keep up with the times. Moreover, for proper administrative work, we have developed a well-furnished corporate and marketing office in Mumbai. Apidor has a strong dealer network of around 60, spread across the country catering to most of the industrial towns. With an aim to become the leading firm of the market, we pay high attention towards gaining optimum satisfaction. Our executives are in constant touch with the customers to understand their requirements. The experts of our firm make sure that only those products are offered to the clients, which are durable and free from all sort of flaws. 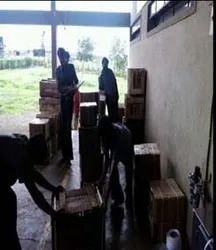 Moreover, our experts ensure that the customers are getting their desired consignments at their specified location within the promised time.